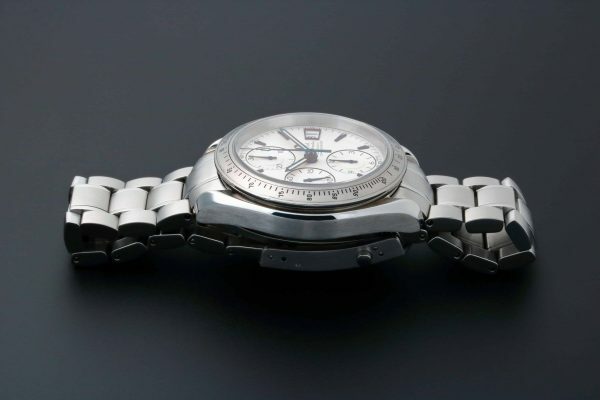 Rare men’s stainless steel Omega Speedmaster chronograph wristwatch with date, ref #3211.32.00. 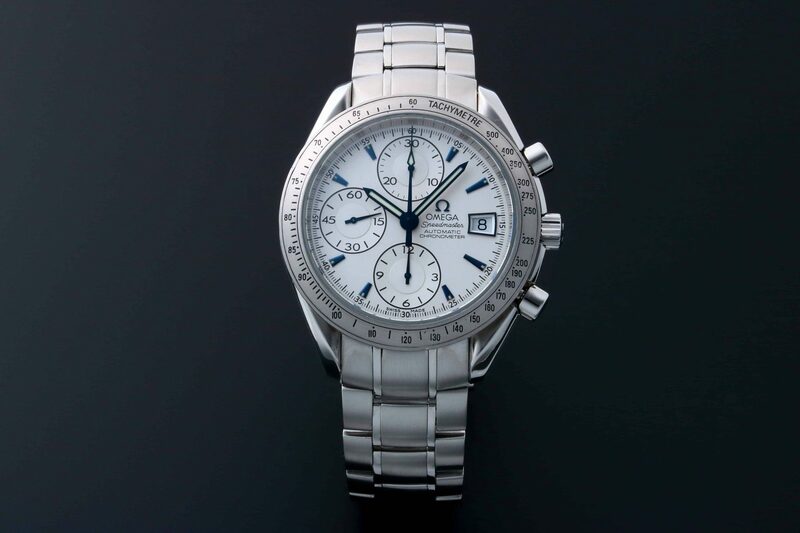 White Omega dial with blue steel arrowhead hour markers and register hands, blue steel edged hour, minute, and chronograph hands. 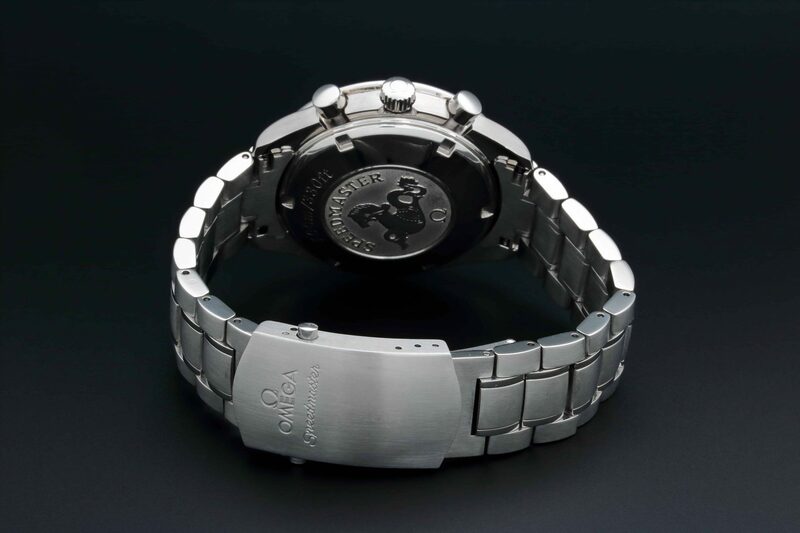 Stainless steel engraved Tachymetre bezel. 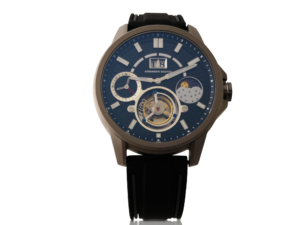 Swiss made, self winding automatic movement. Comes on a stainless steel Omega bracelet with push button Omega deployant buckle. 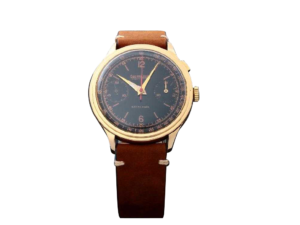 Accompanied by a fitted Omega watch box. Approximate diameter is 40mm. 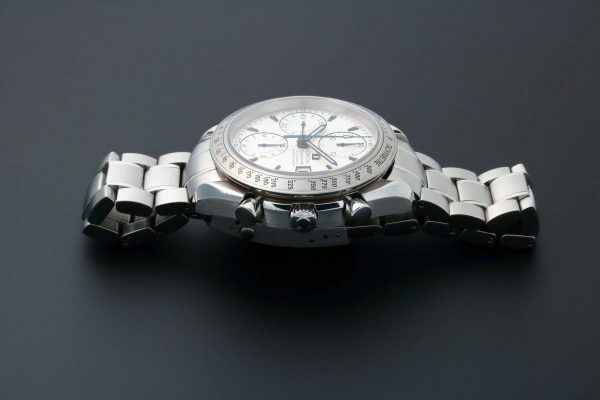 The Omega Speedmaster chronograph watch, model #3211.32 is a rare and unusual model. The Omega Speedmaster #3211.32.00 was a limited release for the Japanese market. It has been reported that only 500 pieces where made for this unnumbered model. 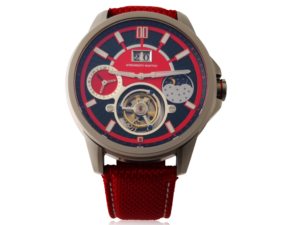 The color of the dial, hour markers, and hands makes this a distinctive watch.